►Following Saturday’s loss to Merrimack, BU fell from the USCHO top 20 poll, but did receive the most votes among unranked teams. ►Mike McMahon of College Hockey News analyzes the Terriers’ 0-3-0 start, contending that among shortcomings, BU must play a grittier game. 2019 recruit Trevor Zegras scored twice and finished at +3 as the NTDP U18s concluded their Eastern trip with a 6-4 win against Dartmouth in Hanover, N.H. Fellow recruit Alex Vlasic assisted on a second-period goal for Team USA, which also defeated Harvard over the weekend, following its Friday night overtime loss to the Terriers. 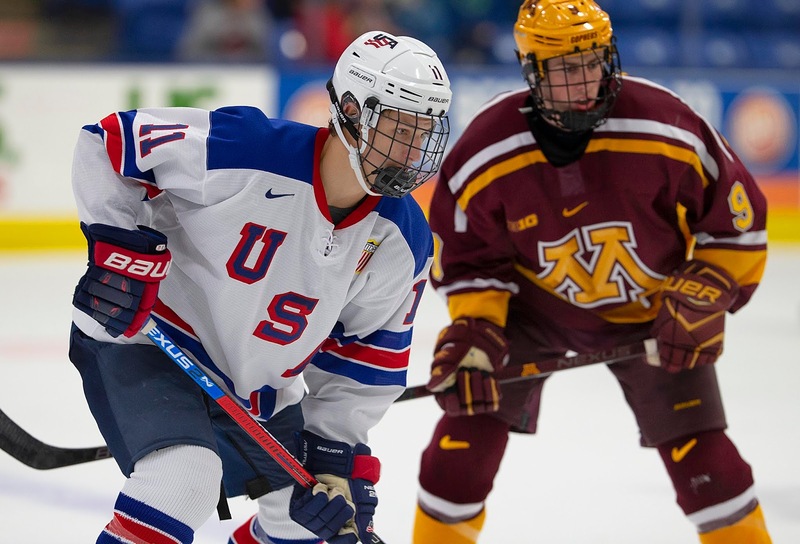 ►USA Hockey’s NTDP player profile series caught up with 2019 recruit defenseman Case McCarthy, just prior to the U18s game against the Terriers last Friday. 2019 recruit Vinnie Purpura stopped 31 shots as USHL Omaha defeated Tri-City in overtime, 3-2. 2021 recruits Jeremy Wilmer scored a pair of goals as North Jersey Avalanche 16U defeated Selects Academy 16U in the Beast Series championship game, defending the title the Avs won a year ago. 2022 recruit Devin Kaplan assisted on Wilmer’s second goal. 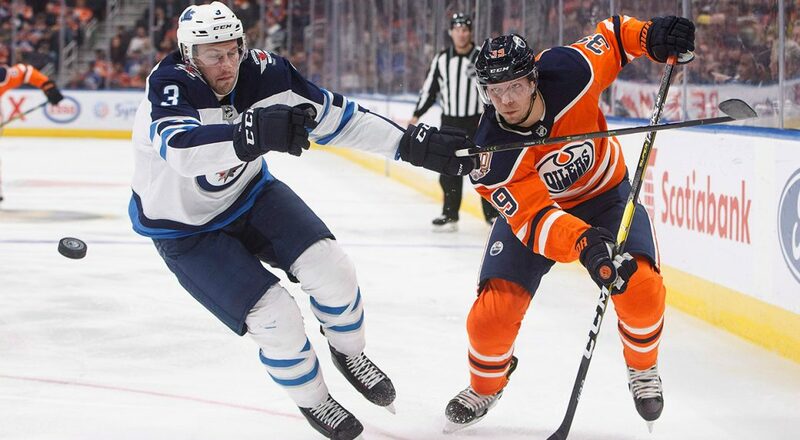 Making his second start of the season for Edmonton, Alex Chiasson made the most of his 10 minutes of ice time: 2 shots, 2 goals and 3 hits (including one to set up his first score). However, Pittsburgh edged the Oilers on Sidney Crosby’s overtime goal. 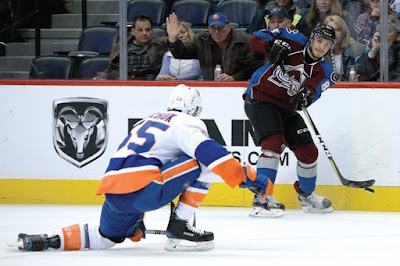 Matt Nieto’s first goal of the season was the game-winner in Colorado’s 4-1 win against Philadelphia. Matt Grzelcyk recorded his fifth assist as the Bruins defeated Ottawa, 4-1. Brandon Hickey, skating for Buffalo’s AHL affiliate in Rochester, talks about his adjustment to professional hockey.